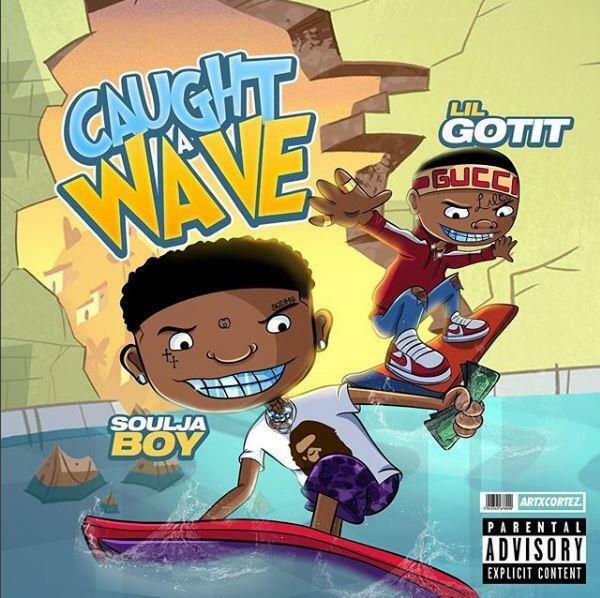 Home>New Songs>Soulja Boy Songs> Soulja Boy & Lil Gotit Connect On "Caught A Wave"
Lil Gotit's been buzzing through the streets for the past few months due to several of his major collaborations alongside Lil Uzi Vert, Skooly, and Gunna. However, he's already looking like he's getting ready to take over the game in the near future, despite the fact he only has one project to his name. Today, he links up with Soulja Boy for his new song, "Caught A Wave." Soulja Boy and Lil Gotit join forces for their new track, "Caught A Wave." The single comes a week after Lil Gotit released his debut project, Hood Baby. Soulja Boy and Lil Gotit turn the auto-tune up while delivering a heavy trap banger. With each effort and collaboration, Lil Gotit continues to solidify himself as the next biggest thing out of Atlanta. Mikey100K Flows Smoothly Over PnB Rock Production On "Indecisive"
SONGS Soulja Boy & Lil Gotit Connect On "Caught A Wave"